We have been importing Mexican garden planters for over 17 years. 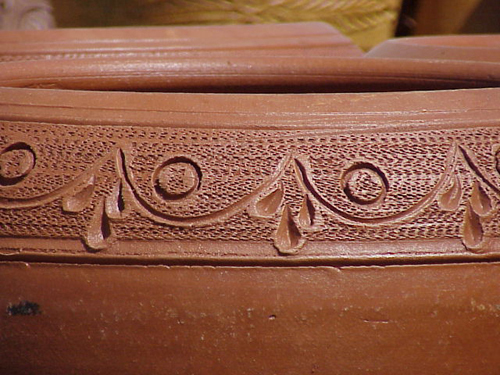 While the clay is heavy, very dark and considered porous it is still in high demand because of it's unique designs & original styles. The Mexican clay pottery that we import have very distinctive designs. It's very rough, porous and many times lined with a black tar product, that helps to prolong the life of the clay. Each design is usually hand made and so each one is slightly different. One thing we can say is unless the outside of the planter is sealed with a water proof product the clay will break down from water and sun exposure. 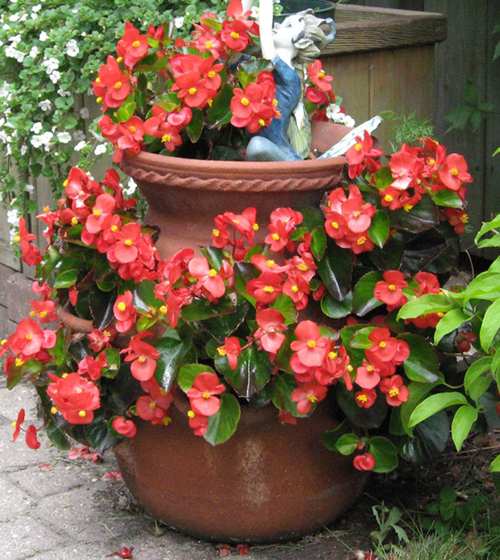 These planters are not made to last and will start to deteriorate after a season of use. Our terracotta sealer will not waterproof the pot but it will help to prolong the life of the clay by laying down a barrier of protection. Just brush it on and let it dry. Many of the styles, like garden hose containers, strawberry jars, pocket pots and animal planters have been standards in the industry for years and continue to be good sellers. These same patterns and styles are not being produced by other suppliers. When it comes to price point, Mexican terracotta can't be beat. It is very inexpensive because it is easy to make, the clay is a powder product and it's fired in wood burning kilns instead of gas. Since the durability factor is poor we recommend using them with perennials and annuals flowers that will last only one season. 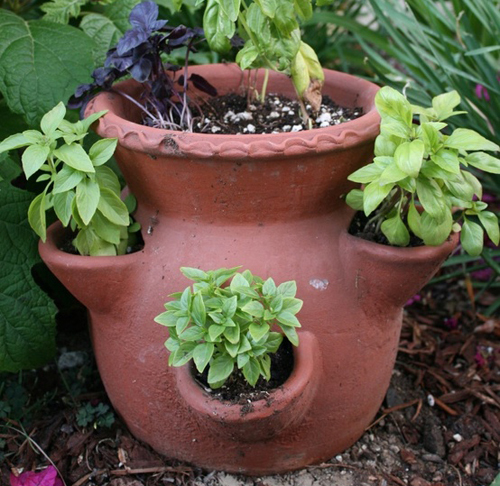 Good designs, unique styles and easy ability make these garden planters good sellers.